We are committed in providing Services in a professional, productive manner that will benefit all Tl’azt’en Nation Members. We will maintain integrity, confidentiality, fairness, and provide continuous support. (Adults (5) years Youth (3) years) By the end of this year 2017 the current CIS (paper card) will no longer be available. There is a new card out if you are interested in applying for it please contact me. 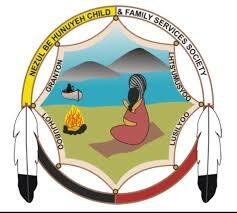 250-648-3212. the cost for Tl’azt’en Nation Members is $10.00 and for Non-Members $20.00 Elders are free. Any IRA (Indian Registration Administrator) who issues status cards to individuals who are only presenting one piece of valid I.D. or no I.D. at all will have their authority to issue status cards removed. As per a policy directive from the office of the Indian Registry, original long form birth certificates MUST be provided for all registrations of birth. BC Drivers Licence or Learners Licence. Bank card (your name must be imprinted on the card and must be signed. You may have a preferred name (i.e. Bill instead of William or Sue instead of Susan). These preferred names are not allowed on your records unless you present a legal Change of Name Certificate or an updated foundation document. You may not re-arrange your names into a different order; your full legal name will appear exactly as on your foundation document. If you have lost your social insurance card you can apply to replace it, there is a fee of $10.00 and although you WILL NOT receive a CARD, you will receive your number on a printed piece of paper. Transferring into Tl’azt’en Nation (submit a letter and present at the Annual General Assembly (AGA) is a two day meeting held in August of each year. A letter stating the reason for the transfer. Coordinator of Annual General Assembly’s (AGA) 2 Day Meetings held in August of each year.